Well, I was hoping to post about my new cutting table today, but it’s currently housing materials for three projects and I’m not exactly in the mood to clear it off for pictures. 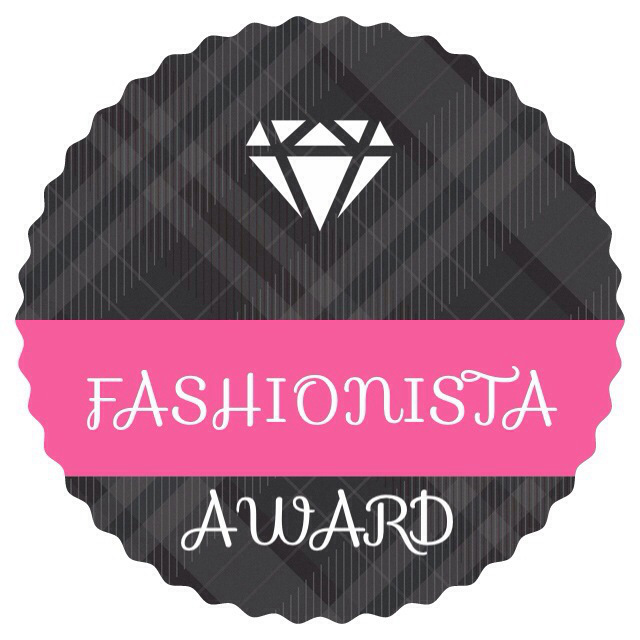 So I was pleasantly surprised when I opened my email and saw that Dolly of Fashion that Pays nominated me for a Fashionista Award! I don’t really consider myself a fashion blogger (but I’ll get to that in a moment), so I was both surprised and flattered to be considered. The Pyreflies — Jessica has such a fun, pretty blog. I love her series on fashion inspired by Final Fantasy! xoMia — A fellow cosplayer and a friend, Mia has lots of tips on cosplay, beauty, style, and living geeky. Nerd Burger — I love Cazz’s style. Front her brightly-colored hair to all of her geeky clothes. Her blog makes my inner geek girl happy. Melificent — A recent addition to my blog roll. I stumbled across Melificent’s blog through Adorkable Apparel, but she’s also a Moonie! Love, love, love her recent post on Sailor Moon fashion. 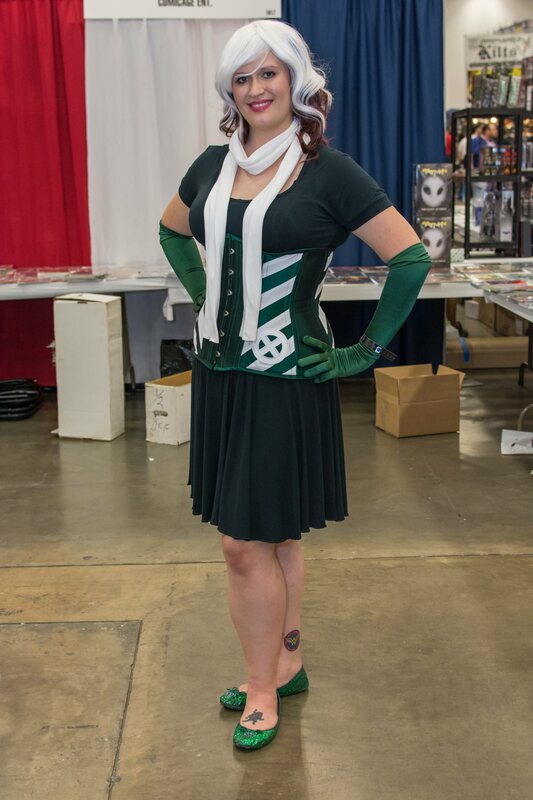 GlitzyGeekGirl — Another local cosplayer and friend! Anna is a hair stylist and posts quite a few tips on beauty as well as some super cute (and geeky) OOTDs! 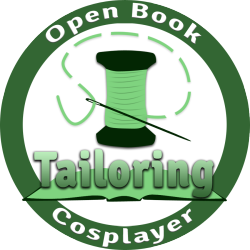 Fancy Dresscapades — I love meeting other seamstresses who are into cosplay. It’s such a natural overlap, but there’s not as many out there as I thought! Jennie’s vintage-inspired style appeals to my inner librarian. I seriously need her cats-eye glasses. Joie Fatale — I love all of Joie’s posts, but her series on workout cosplay is one of my favorites. The Designer Geek — I “met” Yissel via Twitter, where we chatted about construction of fashion. I’ve really enjoyed reading her blog and learning more about the industry. 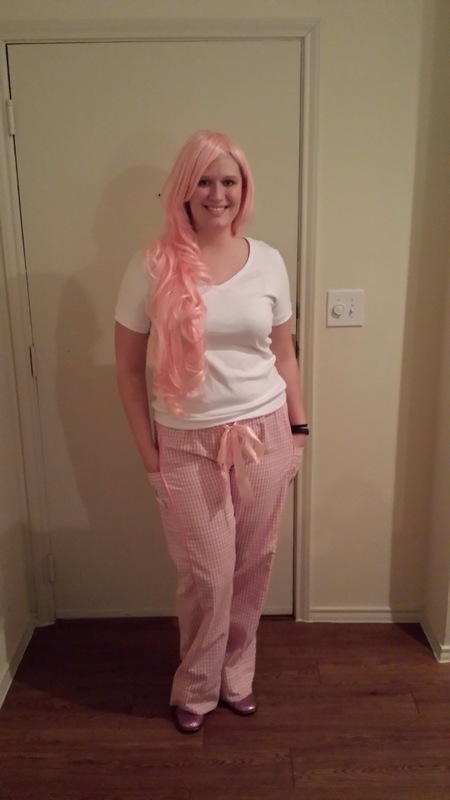 Geek Glam — a recent addition to my blog roll, Stephanie combines her love of fashion with her love of gaming. Bonus: she’s also from Dallas! Comics and Cookies — another recent addition to my blog roll. I really enjoy her weekly Geeky Fashion Fix! I honestly never thought about it! I was very much a jeans-and-t-shirt girl growing up. I started experimenting more with fashion since learning to sew, so I guess… 24? Sewing has really put me in touch with what flatters my body and what I’m willing to wear. After all, I’m not going to spend 10 hours on a sewing project if I’m not going to wear it! 2) What’s the no:1 thing f-blogging has taught you about writing/presenting to an audience? I am far more critical of my mistakes and choices than anyone else. 9 out of 10 people don’t notice if my seam is 1/2″ off unless I point it out. There’s definitely a benefit to recognizing your mistakes. After all, without making mistakes, we can’t improve (well, I can’t)! But I have a bad habit of getting hung up on mistakes. I’m working on it! For my RTW clothes, absolutely. I’m much more careful with my me-made creations. That said, I often try to find fabrics that can withstand machine wash because I really dislike hand washing. While I love natural fibers, I’m also veering away from straight-up cotton, because ironing before every wear is super annoying. 4) Do you consider yourself a savvy or impulse buyer, or a bit of both? Oh gosh, I’m such an impulse buyer. I’m like Dora in Finding Nemo. Give me all the shiny! Reining that habit in this past year (I’m currently on a RTW clothing fast) has been quite the challenge. I’m hoping that when I go back to purchasing RTW clothing again that I’m able to look at my clothing choices more critically and think twice before buying. 5) What is your favourite trend; e.g. neon, colour blocking, monochrome, pattern mixing, leggings, big accessories, socks with sandals!? Love, love, love leggings. Leggings with tunics or dresses is one of my go-to looks. It’s stupidly comfortable but also manages to look very put together! I also love color blocking and peplums. I’m looking forward to incorporating more of these trends into my fall clothing projects. 6) What is your least liked or just most disliked trend? I don’t really have one at the moment. Prior to sewing, I might spot a trend and hate it, but I’ve learned to accept more types of fashion. I might not like a certain look on myself, but that doesn’t mean that a friend won’t rock the same look! Just as an example, I initially hated peplums, but I’ve really grown to like them. I think it’s all about finding what works for you. Fast fashion. It has ramifications on so many things: environmental impact, human rights issues, local economy (see page 3 for U.S. employment in manufacturing), and more. Getting into the homemade movement has really opened my eyes to the amount of work that it takes to create a wardrobe. It boggles my mind that companies can justify paying people pennies on the dollar for pieces of clothing. There are many industries where people no longer even have to touch the product they’re making, but the fashion industry isn’t one of them. Slow fashion is a movement that I wholeheartedly support. 8) What’s your favourite thing about your style? Comfort. Even in my costumes, I always make comfort a priority. Once I’ve put on a piece of clothing, I don’t want to think about it. I’ve started working more with knit fabrics for this reason. I’m always behind clothes that wear like PJs! Speaking of PJs, here are two of my most worn me-made creations this year: my Renfrew top and my Tofino pants! I pretty much put this on the second I get home from work. Wig optional. 9) What you’re least liked thing about your style that you’d like to change/improve? I don’t always look as put-together as I’d like. This is an issue I’ve mentioned before, and the longer I work in an office environment, the more I notice it. I’m on the down hill slide to 30 (guh), so I feel like I need to dress more like an “adult”. The problem is that I really don’t enjoy making office wear. I want to make fun, pretty things! Once this year is over, I think I’ll go back to purchasing office wear (specifically trousers) and spending my sewing time on icing projects. One of my favorite work outfits that manages to look put-together. I really need to take a weekend and make a closet full of Mabels. 10) If you could have helped come up with one of the major fashion innovations/trends in the past, which would it have been? Corsets. I love, love, love corsets. So much artistry goes into corset making, and I’m really looking forward to learning to make them for myself! Where do you fashion inspiration? What is your go-to color palate? What fashion trend do you absolutely adore? What’s your take on fashion hauls? Thanks again to Dolly for the award! Aw thanks for nominating me! I know what you mean about not feeling professional enough. I’m on the opposite side of my 20s but I often feel a lot of pressure to “prove” I’m a professional! It’s such a fine line because I never feel like I dress for my age. Haha, I feel that way as well. I often feel like I either dress like a college student or someone 10 years older. Finding balance can be tricky! Awesome post! I loved reading your answers and excellent point about slow fashion. I’m such a fan of home tailoring and admire people with so much skill like yourself and your list of awardees is a pleasure in itself! Congrats! Also I love posts like these because I can find new blogs to check out! Thank you so much 😀 and you’re right about there not being that many of us out there!